We have been awarded £2000 from this fund in May 2011. A copy of our certificate is below. Walk on – despite the weather ! Sporting Challenge, a group of parent carers providing sporting activities for local folk with learning disabilities staged its sponsored walk yesterday, Sunday 15th May. 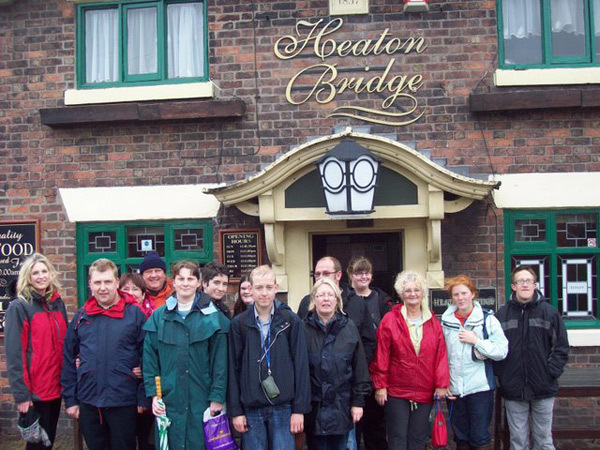 Despite the wet and wild weather, the group didn’t let that stop them, walking from Burscough Wharf to Heaton’s Bridge and back again. Said Edward, Sporting Challenge secretary: “We aim to keep members fit and healthy. We also arrange evening and weekend activities include 10 pin bowling, aerobics, swimming and boccia/curling at local Sports Centres. “Many people with a learning disability don’t take part in any exercise activity because the family carers who support them are either not motivated or unable to take them on such activities which they can’t attend on their own, ” he added. “Our activities are very popular, and the walk was really enjoyable showing the support we have”.